Community members representing some of the 14 organizations that made up Equity for Cambodians were recognized for their efforts in passing Measure DDD during an event celebrating the "Emerging Cambodian Power" on Sunday, Feb. 10. Photo by Stephanie Rivera. It means Khmer people help Khmer people, and on Sunday night, local Cambodians celebrated just that. Over 200 community members gathered at La Lune Thmey restaurant in Central Long Beach for an event celebrating the “emerging Cambodian power” over the last year, including passage of a redistricting measure and the election of two Cambodian women to local delegate seats. “Today we celebrate the rise of political power of our Cambodian brothers and sisters,” said Charles Song, co-chair of Equity for Cambodians, which led the community effort in passing Measure DDD, establishing a redistricting commission. While an estimated 50,000 Cambodians have been living in the city for decades—beginning with a wave of refugees who settled here after fleeing the Khmer Rouge in the 1970s—the community has never produced a local elected leader. That changed last month when local activists galvanized the community to turn out and vote for one of its own to a Democratic delegate seat representing the 70th Assembly District. What happened was the election of two Cambodian American women. Vanndearlyn Vong and Pedora Keo were the top two vote-getters with over 300 votes each. Vong received the most at 406 votes. Song said the support was so widespread that Cambodians from as far as Anaheim Hills and San Gabriel showed up to vote. “[We] had to turn them away because we respect the democratic process,” Song said. Some on social media questioned the validity of the votes after initial reports of the results. While the Cambodian turnout Jan. 12 was mostly the result of extensive community outreach and campaigning by Vong and her supporters, Keo was able to receive the community’s vote that day despite belonging to an opposing slate consisting of grassroots progressives, including two members of the left-leaning Democratic Socialists of America. Vong herself belonged to a group seen as establishment Democrats, including former Councilwoman Tonia Uranga. Vong has worked on political campaigns for 7th District Councilman Roberto Uranga (for which she has been a legislative assistant since December) and Rep. Alan Lowenthal’s son Josh Lowenthal. In delegate elections for the state Democratic Party, candidates can run individually or in a slate that consists of seven female- and seven male-identifying candidates. 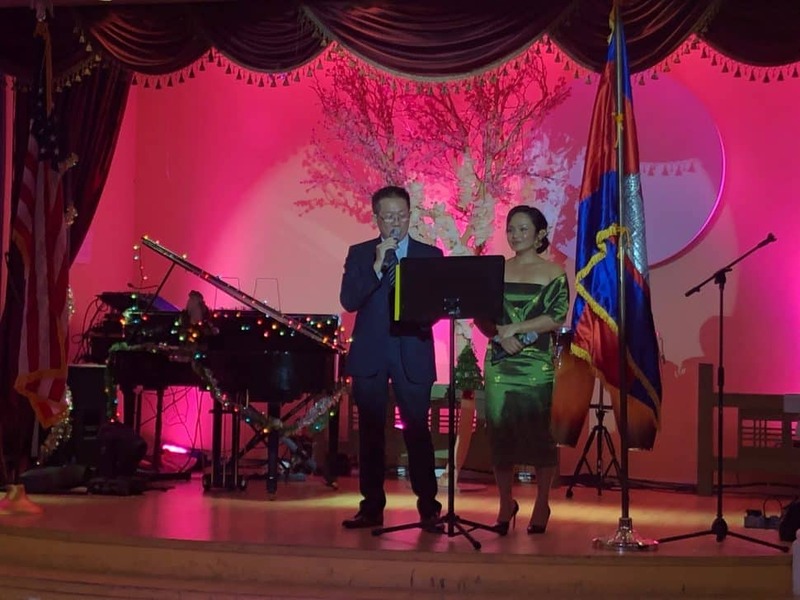 Charles Song and Laura Som, co-chairs of Equity for Cambodians, host “Emerging Cambodian Power” on Sunday, Feb. 10. The event celebrated strides made by the Cambodian community toward more political representation. Photo by Stephanie Rivera. While Vong was seen as the star of the event, Keo was also given an opportunity to officially introduce herself to the community. “Tonight I’m honored and proud to stand here,” said Keo, who settled in Cambodia Town after leaving a Thai/Cambodian refugee camp 30 years ago. Keo recalled the oppression she witnessed while growing up in Cambodia Town and a people without a voice as a result of a community divided into four different council districts. Organizers also recognized 14 organizations that made up Equity for Cambodians. The coalition worked with the city last year to come up with guidelines for a proposed redistricting commission that they hope will eventually redistrict the city in a way that would prevent the division of cultural communities. Measure DDD passed with nearly 60 percent of voters’ support in November. It changes the city’s charter by establishing a 13-member Redistricting Commission that will have sole power to configure council districts after the U.S. Census, or as necessary. The Cambodian community is believed to be residing largely within the 4th and 6th council districts. While it was 8th District Councilman Al Austin who originally brought forth the idea to amend the way council lines are drawn in the city’s charter, Equity for Cambodians eventually became part of the drafting process after opposing initial plans. But the idea was sparked independent of Austin’s plan during a government and community organizing class at the MAYE Center, headed by Laura Som who also eventually served as co-chair of Equity for Cambodians. It was a student’s question over a year ago, asking how the Cambodian community can organize for more political power, that sparked the movement. At Sunday’s event that student, Vy Sron, was recognized by Som. 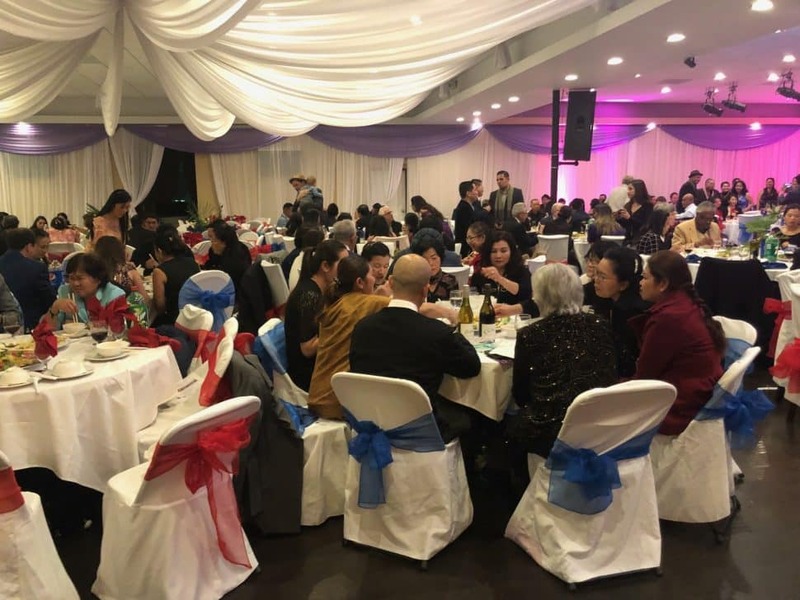 Local Cambodian community members gather at La Lune Thmey restaurant in Central Long Beach on Sunday, Feb. 10, 2019 to celebrate the “Emerging Cambodian Power.” Photo by Stephanie Rivera. Now the community is looking ahead to 2020 when constituents get to elect council representatives for the 2nd, 4th, 6th and 8th districts. It’s also when the country’s decennial Census takes place, a questionnaire mired in controversy and facing lawsuits over a proposed question that asks one’s citizenship status, which community organizations fear could deter some immigrants from participating. Editor’s note: This story has been updated to clarify that the slate Pedora Keo belonged to included grassroots progressives, including two DSA members.